Working in small groups, the students found themselves a little out of their usual academic element and were put to the test in developing a sales and marketing plan for Digi’s Store. The groups participated in a one-day Group Sales Challenge after having gone through workshops and sales training conducted by Digi representatives. 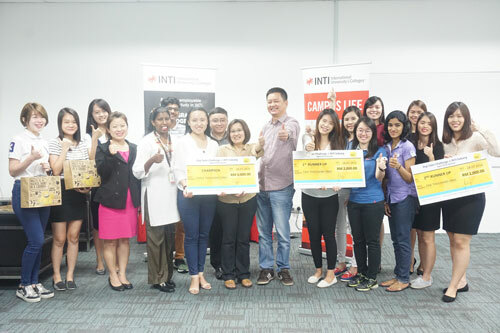 As part of the challenge, the groups were each given a seed fund of RM1,200 to set up a booth to promote Digi’s products and services to fellow INTI student at the Subang campus. Putting their soft skills to the tests, the groups further enhanced their communication, collaboration, creativity and critical thinking skills through the exercise. 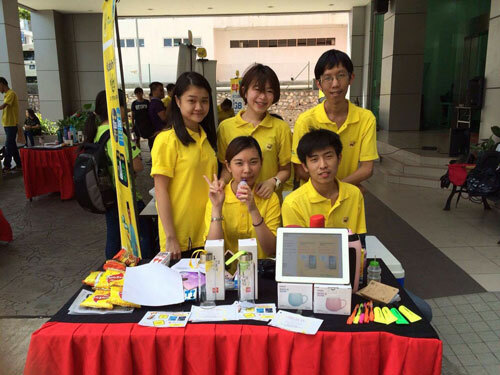 Giving a taste of real life experience, Digi put the students in situations faced by their own employers on a daily basis. From on boarding exercises to training and work placement by Digi, the students took on various roles and produced industry like sales and marketing plans with proper financial analysis such as forecasting, budgeting and balancing of financial statements as part of the one day Digi Carnival at INTI Subang. “By exposing our students to industry experiences beyond their own accounting background, these students are able to see how accountants in organizations do not work in isolation but rather need to understand other essential aspects and components of the business which include marketing and sales,” shared Ms Kannaki Narayansany, Senior Accounting Lecturer from INTI’s School of Business. Apart from honing their soft skills, the collaboration with Digi also proved to be a great confidence booster for these students as they shared their views, disputed on certain ideas and eventually came together to build a strategy for the team. Furthermore, working in diverse groups of local and international students, the students learned to understand and embrace cultural uniqueness while keeping the group’s creative and original juices flowing to develop an impactful plan.From the challenge, the top three winning groups were identified and were rewarded RM3,000, RM2,000 and RM1,000 respectively. Mr. Tan Jin Teck, Head of Distribution & Open Channels, from Digi presented the groups with the cheques after giving a congratulatory speech to the groups for their good efforts and exceptional work in taking on a different part of the business with only a background in accounting. INTI students have numerous opportunities to gain industry exposure through INTI’s Enrolment to Employment initiative which encompasses various industry driven projects such as mentorship programmes and industry talks. To date, INTI has embarked on over 130 employer projects which has positively impacted INTI students in gaining first hand insights from some of today’s top leaders on current industry trends and issues. By adapting the knowledge learned in a classroom setting to a real life situation, students broaden their experiences and seamlessly adapt to the working world upon graduation. INTI’s strong industry link with over 400 industry partners has contributed tremendously to 97% of INTI graduates gaining employment 6 months prior to graduation with 78% receiving higher pays than the market average.